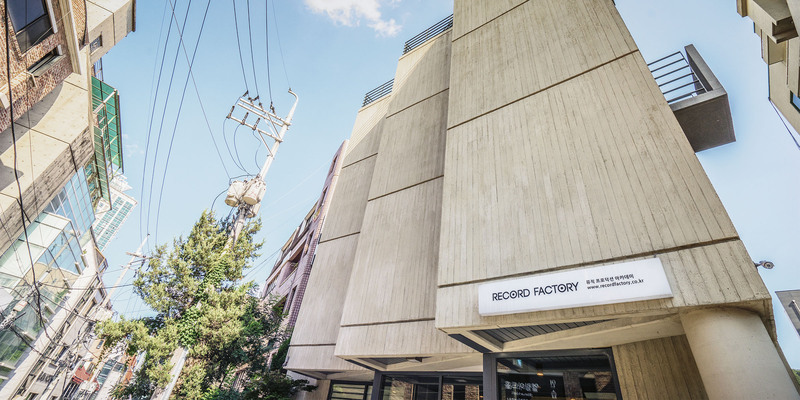 Record Factory is a three-floored, 600 m2 size of campus located in Seocho-gu near a major city, Gangnam. With a professional recording studio, high-tech classrooms that accommodate various music production, and comfortable lounge, students will be able to study and mingle at our clean, spacious facility. Aside from the class time, ALL Record Factory students are given the unlimited personal lab hours from 10 a.m. to 10 p.m. to study and gain hands-on experience on the softwares as well as professional equipment. Our classrooms range from Live Lab, Groove Lab, Producer Lab, and Avid Lab, which all carry different workstations with various tools and softwares. Before and after class, students should have plenty of time to explore the area so feel free to grab food with fellow classmates and enjoy Korean tourism nearby! Students will find restaurants of various cuisines, cute cafes and pastries, and even concert hall packed with performances and galleries all in walking distance right in Seocho. Restaurants vary from traditional Korean restaurant “Baek Nyun Ok” that serves tofu dishes with classic Korean combination of rice, sides, and soups, to unique fusion restaurants that present different cultural foods. To name a few, try Korean Chinese cuisine at “Boo Rah Moon” around the corner that is most famous for black bean sauced noodles and sweet and spicy meats and vegetables, and “Saint Augustine”, the ultimate Asian food paradise that consists of Thailand, Indonesia and Vietnam food with a twist of Korean recipes. If you’re feeling indecisive between snacking on finger foods, meals and couple drinks, walk right into “Momoko” right across from Record Factory that has it all. Momoko describes itself as an izakaya and bistro, and sells everything from steak, spaghetti, ramen, curry and many selections of drinks. Speaking of snacks, we also have numerous options of quick bites such as “Auntie Anne’s” pretzels and sandwich shops only couple streets away. 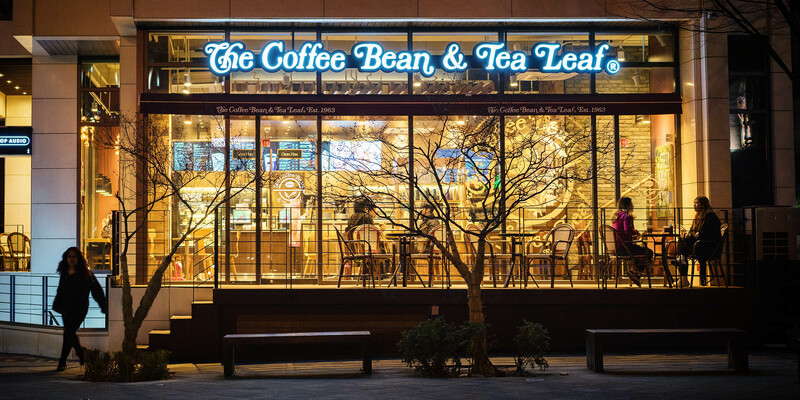 To enjoy desserts and coffee, “Starbucks” and “Pascucci” with wide, spacious interiors are available less than a minute away from campus while “Coffee Bean & Tea Leaf” may be the place for tea lovers. 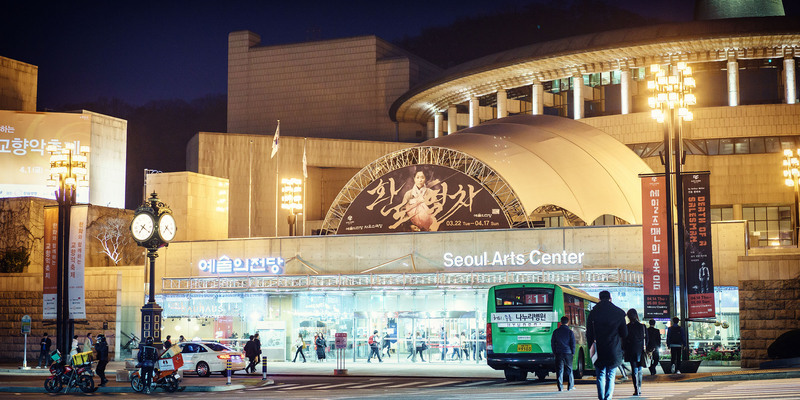 After filling yourself up with delicious outings, make sure to check out one of the biggest performance venues in Korea, “The Seoul Arts Center” located within 5-minute walking distance from Record Factory. The Seoul Arts Center is the representative art complex of Korea that provides high quality performances and exhibitions available all at one site, and is comprised of the Opera House, the Concert Hall, the Art Gallery, the Art Morgue, the Calligraphy Hall and the Performance Theater exclusively for plays. In addition, the center’s facility includes outdoor space and theater thus visitors will be able to enjoy outdoor performances and rest on a nice day out. Located in the left wing of “The Seoul Arts Center”, “Hangaram Art Museum” is also another place worth visiting for cultural and arts sightseeing. The museum was established in 1990 and consists of six exhibition halls, an art shop and a storage. Featuring a special type of interiors that aim to provide the best viewing environment, the museum is operated by a light system that controls the humidity and temperature, and a luminous ceiling system that captures natural sunlight. If you feel like getting some air and stroll outside, you’ll run into “Woo Myun San” walkaways right by the fountains of “The Seoul Arts Center” which leads to the mountains, city views and temples. Check out Life in Seoul for more cultural experiences and leisure activities to do in Korea!